Our interest in this work stems from the fact that Carl’s students are collaborators on this project, playing the role of “guest curators,” which gives them the opportunity to engage in public history and interact with scholars from around the world. This innovative project has been featured and profiled in many places. Carl will speaking about his work on this project at an upcoming event on our campus (see poster image); if you are in the area, his talk will be open to the public, and we invite you to come learn more about this fascinating work he has undertaken with his students. 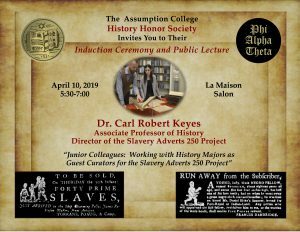 On Tuesday, February 26th, the Assumption College D’Amour Center for Teaching Excellence hosted a Symposium on the Lecture. The event included dinner, discussion, and flash lectures by five faculty members. But the centerpiece of the evening was a presentation by Paul Gallagher, Associate Professor of Philosophy, on the power of the lecture to transform the hearts and minds of students. Paul was kind enough to give us permission to post his talk below. I’m here tonight to give a short talk on the virtues of the lecture, or what is sometimes derisively called the “sage on stage” model of education, and to argue for its place in a quality liberal arts education. And then to have my little talk be a springboard for further discussion. But let me preface this with a few caveats. I fully acknowledge that there is both a legitimate diversity in ways that a professor can run a good class, and also a variety of learning styles in our students. Some professors teach best by running a discussion heavy class, and feel out of their element giving a lecture, especially in today’s educational climate. And, as I’ll further argue, it’s not a black and white issue, lecture or discussion. A good lecture will typically incorporate discussion. Furthermore, some material lends itself better to one format as opposed to another. Similarly, there are different learning styles among our students. Some are bored silly by lectures and respond better to a more interactive classroom experience. But I think it is important not to lose sight of the fact that some don’t. For some students, and I was one of them, nothing was better than, and nothing moved me as much as, a great lecture by a learned professor. I loved the sage on stage, and I suspect that a certain percentage of our students do as well. I will make a stronger, and perhaps more controversial claim, that among those students that prefer and benefit from a good lecture, are a high percentage of our better students. We look around the room. We’re all professors. We were all the better students in our classes. And I bet a high percentage of us were inspired, both as undergraduate and as graduate students, by the superlative lecturer, the one who captivated us with his or her erudition, and had the presence or personality to successfully convey that. I had one professor who was especially gifted, who greatly moved me and others, and I will be talking about him shortly. My concern is this: I worry that if the college, and the academy at large, over emphasizes other approaches to conducting a class, that if the lecture is seen as outmoded and on its way out, then I worry that those students for whom the lecture resonates are not being provided the education that most benefits and most effectively transforms them, as we claim a liberal arts education can and should do. We often at the college speak of the transformative power of a liberal arts education. We less frequently ask the question, what precisely is this transformation, and how is it best achieved? One of my principle teachers, Stanley Rosen, had this to say of one of his principle teachers, Leo Strauss. These are vague expressions that we need to try to flesh out. Let me try to explain what I think Rosen is talking about by recounting my experiences with a particularly great teacher, David Lachterman. Lachterman was hands down the most brilliant, erudite, and perhaps most importantly, eloquent person I have ever encountered in life. I remember being dazzled by his lectures, sitting in class mesmerized with a smile of delight on my face, as he wove together six or seven seemingly disparate strands of thought into a coherent, profound, and indeed beautiful whole. Wonder, Socrates also tells us, is the feeling of the philosopher. David was a master of creating that feeling of wonder in his students. What I and others encountered face to face with Lachterman was a rarified instance of intellectual excellence, an extraordinary mind on display in an extraordinary fashion. And it was not only an intellectual experience, but was what I can only describe as an intellectual aesthetic experience. For above all, David was a master storyteller, and what he told were utterly fascinating philosophical dramas, where the protagonists, rather than being Hamlet and Ophelia, were ideas, whose origin was Aristotle, Hegel, and others. An intellectual work of art was being created and displayed before my very eyes and ears. And it was beautiful. For what was opened? The “eye of my intellect” was opened to, awakened to, the beauty and richness of thought. What was re-attuned? My soul, if you will, reoriented to the world of the intellect. And this opening of the eye of my intellect was much more important than any particulars that I remembered, or any “cultural literacy” that I picked up, or even any “critical thinking” that I developed. Frankly, the specifics I remember most from my professors’ lectures were the jokes they told. But as if by osmosis, something much more important happened than retaining information. I learned how to read philosophical texts. I learned, if you will, how to think and be thoughtful. And in some difficult to articulate way, my internal life became richer. I bet most of us, we future professors in the top tier of our undergraduate classes, had a David Lachterman who touched us in a similar manner. And I think that many of our better students crave such an intellectual experience, and could indeed be transformed by it, and if they don’t crave it, I worry it’s in part because they have not been sufficiently exposed to such intellectual encounters. But let me return to the transformative element of such experiences. In Plato’s the Ion, Socrates describes well what I believe happens in these face to face “performances” that a superlative speaker gives to an audience. Here Socrates tells us that the effect of the rhapsode on his or her audience is akin to the effect of a magnet on adjacent pieces of iron. The power of and quality of the magnet is transferred to the pieces of iron; they too become magnetized, and inherit the qualities of the magnet, simply by virtue of being in the presence of the magnet. A short story about my youngest son, Jack. Jack graduated from Holy Cross two years ago. His favorite class was a class on Islam. He has no interest in Islam, not before the class and very little after the class. But the course was apparently taught by a great teacher who exclusively lectured. And Jack says he was absolutely enthralled by the lectures. He described them as utterly fascinating, and said it was better than watching the best movie. I have no doubt but that my son’s soul was enriched through this experience, and that through this exposure to and participation in intellectual excellence, he became a fuller, rounder person. For like me, Jack too was introduced to the beauty and richness of thought. The repeated exposure to such thoughtfulness, to me, is what it means to be educated, not how many facts about Islam you may have retained from the lecture. But setting this example aside, is a good lecture typically “one sided”, where you effectively have a one man show, the active “sage on stage” addressing a passive student audience? No. A good lecturer, like Lachterman, will always pause, and take, and most importantly, pose questions. A good lecturer will always prompt a dialogue between him or herself and the classroom. And the responses to these questions can and will prompt further questions raised by both the professor and students to the class. In short, a good lecture will always, to some degree, morph into a dialogue. But the dialogue will have some meat and potatoes on it, insofar as the topic under discussion will have some depth to it by virtue of the lecture. And the more the audience has been exposed to this type of experience and “magnetized” by it, presumably the more forthcoming the dialogue will be. 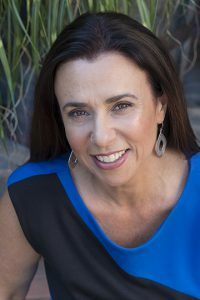 The second strand of thought in Rosen’s quote is that this re-attunement of the soul cannot take place through the reading of a book, and only takes place, as he puts it, “through direct contact with a great teacher,” with what I’m calling the face to face encounter with a great teacher. I would say that there is something profoundly humanizing in the face to face encounter with the living presence or the living reality of a person. While this direct contact can occur by a professor circulating among students in discussion groups, I have tried, by example, to argue that the conveyance of intellectual excellence is, at least in many cases, better achieved through a lecture. At least part of the reason why that is the case has to do with the content matter that we teach. 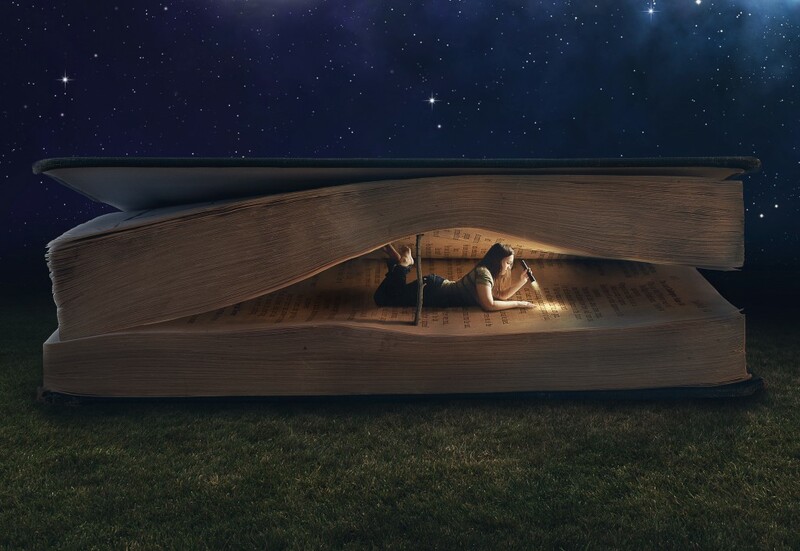 In philosophy, we for the most part teach “the great books.” These books are hard, and they are great, precisely because there are layers of depth to them. I think that without a fairly in-depth presentation by a professor, that you only scratch the surface of that depth and don’t do justice to the richness of the text at hand. It just doesn’t work to do a five minute summary of the Kant’s categorical imperative, and then to break up into groups to discuss it. The discussion invariably is going to be superficial because the manner in which you’ve presented the concept was superficial. But what would be an indirect contact with a great teacher? Rosen names the reading of books that presumably the teacher has written. In the 21st century, we have to add to that other ways that technology mediates, rather than makes immediate, our contact with the human race. This would include contact with our teachers through YouTube, videos, audio recordings, and other modes of technological reproduction. I think these can be “good,” but they are simply not the same. Yes, I would love to have videos of Lachterman lecturing, not only to “sort of” re-experience the event, but hey, I could rewind it and catch what I missed the first go around. I could also stop and make myself a sandwich. But it wouldn’t be the same. What is missing in the indirect contact is what Rosen calls the strength of the teacher’s spirit, or what we could simply call the force and presence of their personality, and the impact that has. Or more simply yet, by the presence of their humanity. I don’t think it is by accident that neither Socrates nor Jesus wrote anything. To be fully effective as transformative teachers, those they encountered needed to feel and be transformed by the full force of their personalities. By analogy, it’s the difference between being present to a great musical performance and listening to it on your stereo. While the recording can be wonderful, it’s simply not the same. As Plato long ago told us, the image is always a deficient copy of an original. The medium does matter. And I think it is clear that the power of human spirit is largely sucked out when it is only transmitted through indirect, electronic means. One is alive; one is not. And that is the crucial difference. Can this model fail? Certainly. It can fail when we fail to reach a critical mass of our students and they tune us out. This can be a result of a group of students, for myriad reasons, not having the disposition to listen to a lecture and be moved by this sort of display of intellectual excellence. But context is everything. I think it is very arguable that introductory classes, while having a lecture component, should be more group discussion oriented than intermediate and advanced level courses. The disposition to listen and respond to a good lecture is less developed in freshmen than it is in seniors. And I think for a lecture to be “good” for introductory classes, above all it needs to be clear. Let me make a confession. I don’t lecture, or more accurately, I have scaled back quite a bit on the amount of time I spend lecturing in my class. More often, I use a combination of Power Points and lecture, supplemented by occasional discussion groups. Why? I don’t have the magic. I learned throughout my career that I just don’t have the eloquence, the force of personality, and the erudition to pull this off in the way that I know that it can be pulled off. In short, I’m no David Lachterman. If you don’t have the gift, the risk you are going to run is either flatness of delivery and the resulting feeling that you are making your living by boring 18 year olds to tears. Or worse, that intellectual excellence is replaced by intellectual arrogance, and what is transmitted to students is not excellence, but the fool’s gold of pretentiousness. But some of you, many of you, do have that gift and talent, and I believe you should be encouraged to be the genuine “sage on stage.” In the past, we had many sages on stage at the college, and several who had enough “strength of spirit” and erudition that they could pull this off very successfully. Two names that come to mind are Mike O’Shea and Patrick Powers. I’m confident that we have many other such professors at the college now. I think we should encourage them to display their intellectual excellence to their students, so their students too can become “magnetized” in their presence. Absolutely, let a thousand pedagogical flowers bloom at the college. But we should not lose sight of the fact that a lecture by an intelligent, learned individual is an especially beautiful flower. If we want the education that we offer to be genuinely transformative, we should not let it die at the college. On September 18th, more than three dozen faculty members at Assumption gathered over dinner for our 2018 Fall Faculty Learning Community. 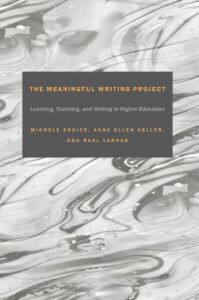 Each semester the DCTE selects a book on teaching and learning in higher education and offers free copies to all who are interested in reading and discussing it with their colleagues. 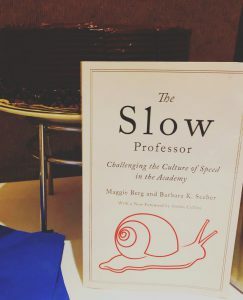 This semester’s selection was The Slow Professor: Challenging the Culture of Speed in the Academy, by Barbara K. Seeber and Maggie Berg, which made quite a splash when it was first published in 2016, drawing plenty of both accolades and criticism. The book bills itself as a manifesto designed to help faculty members resist the corporatization of higher education. It comes in a small package (just 90 pages of text), which means it’s long on big ideas and short on specifics. Those qualities mean the book serves well as a discussion-starter, since it leaves plenty of room for faculty to debate about the ideas, consider whether they make sense within a local context, and explore possible ways to apply them in our work. Our discussion did all that and more, as faculty first spoke with one another over dinner at their tables, and then we opened it up for a whole group conversation. Below I have pasted in the handout I used to guide our conversation, which consists simply of one quote that caught my fancy from each chapter of the book. Taken as a whole, these quotes should give you a pretty clear picture of the book, and the kind of debates it is likely to inspire among faculty. Although I found myself equal parts agreeing and disagreeing with the analyses and recommendations of the authors, it did its work for us: it sparked thinking and conversation. If you’re looking to do the same with a group of faculty on your campus, I recommend it. We look forward to seeing everyone at the Spring 2019 Faculty Learning Community. We’ll be announcing the book selection later this semester, and getting copies out to you in December so you’ll have time to read over break. Four years ago the D’Amour Center for Teaching Excellence at Assumption launched our Course Innovation Academy, in which eight faculty members spend a year working on a new course design or the re-design of an existing course. We read literature on teaching and learning in higher education, observe one another’s classes, meet each month over dinner, and talk and think together. Each year the Academy faculty produce fascinating new courses to help engage their students in deep learning. Professor Cinzia Pica-Smith was a member of that first year’s Academy, and in the spring semester she opened up the final project to students in one of her courses in Human Services and Rehabilitation Studies. She challenged them to come up with their own ideas about how to demonstrate and finalize their learning in the course, which was focused in part on learning about the challenges faced by migrants and refugees, and the impact of those challenges on their health and well-being (and how the students might help them if they encountered them in their counseling careers). One group of students proposed the idea of a Migration Walk. 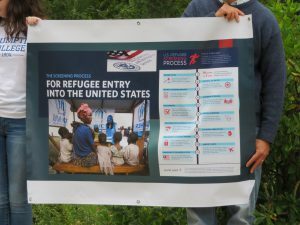 They wanted to educate the community about the challenges faced by those who leave their homelands and seek refugee status in the United States. They wrote a story, based on what they had learned in the course, that followed a refugee-seeking family from their troubled homeland to finally achieving refugee status. They then mapped a walking route around our campus, and tied sections of the story to different stops along the way. 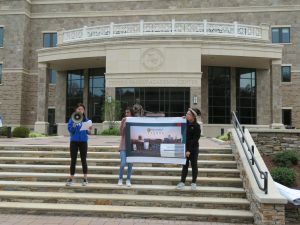 They invited the campus community to join them, and the students stood and read out portions of the story as they led the group from station to station. Four years later, the Migration Walk has become an annual event on our campus. This year it was tied to Founder’s Week, which celebrates the work that the Assumptionists (the founding order of Assumption College) do around the globe in support of migrants and refugees. The walk took place on Sunday, September 9th. As you see from the photos, the materials for the walk have become more sophisticated, and now include beautiful informational posters (and a bullhorn!). Attending the walk provides you the opportunity not only to engage with the moving story that Prof. Pica-Smith’s students created, but also to learn about the many obstacles that refugee-seekers face, and the many years (sometimes 10-15) that it can take them to overcome those obstacles and find refuge in our country. What I find so powerful about this event is not only the education it provides to our community about this important issue, one that reflects well our Catholic commitment to help the stranger. Equally striking to me is that this event emerged when a professor gave her students the opportunity to devise their own projects. She trusted them with the freedom to create, and from that freedom came something more powerful than she could have imagined. What would happen if each of us put that kind of faith in our students, and invited them to educate others about the important work that they have completed in our courses? What could your students create? And how could you provide them with the opportunity to exercise that freedom? 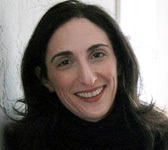 The essay below was penned by Assumption College’s Richard Bonanno, a professor of Italian, describing a package of new strategies he has used to help his students master a difficult text. Prof. Bonanno will be working more closely with the DCTE in the 2018-2019 academic year as one of the participants in this year’s Course Innovation Academy. The subject matter and learning goals of my courses may have changed throughout the years, yet a simple guiding principle has remained, for the most part, steadfast: putting myself in the shoes of my students. Let’s refer to it from here on as the Ugg Jordan approach, which consists of mining my memory banks for lessons learned from my own education and channeling not only the wisdom of my mentors but, perhaps more importantly, the cadence, timbre, and inflection of their voices. If, for example, Prof. Guido Guarino’s raspy discussion of Giovanni Boccaccio’s Decameron was so deeply moving to me during my graduate years, then my students at Assumption College would not only learn as much as I had but also marvel at my dramatic reprise of the structure of his seminar and his delivery of the subject matter. But in recent years the Ugg Jordan approach has begun to fail me. For example, in Spring 2013, when I last taught the Divine Comedy by Dante Alighieri, giving life to my inner Prof. Franco Ferrucci was leaving students in a state of somnolence. Why weren’t they responding to the supplicatory fiddling of the fingers of my outstretched hand as I glossed verses in a seductively silky voice a la Ferrucci? Despite how well I knew my Dante and how ably I mimicked my mentor, my course objectives were not being fully met. I came to realize that my fundamental approach—like my courses—was in need of serious reinvention. Fortunately, I am still committed to thinking critically, resisting complacency, and considering my trade seriously, even though such processes often create a considerable amount of extra work. I had been putting myself in my students’ shoes with the best of intentions in mind, but it became increasingly clear that they were essentially receiving what was best for me regarding my experience as student. Despite wearing their Uggs or Air Jordans, I was formulating my courses according to my needs. I was seeing with my eyes, hearing with my ears, and learning according to a traditional model that had always worked for me: the lecture. What had essentially been an exercise in self-absorption needed a dramatic shift of perspective so that I might better meet the needs of a new generation of learners. 1 – Keep it real: My graduate instructors had never found it necessary to review the learning goals in their seminars; I was in class quite simply because I loved literature and hoped to someday share my passion in the classroom. However, from day one in my course on the Commedia at Assumption College, we spoke about developing a general understanding and appreciation of the text, and students were encouraged to consider their own lives in light of Dante’s journey of self-discovery. 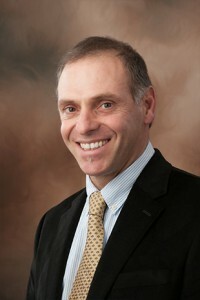 Prof. Giuseppe Mazzotta of Yale University has written at length on the Divine Comedy, in particular on the author’s presentation of a “circle of knowledge” and of the notion of a liberal arts education as a means by which individuals free themselves from tyranny. I applied Mazzotta’s lesson to the course and, more broadly, to the education offered at Assumption College, encouraging students to reflect on its meaning in their lives, and much as the poet comes full circle in his voyage, we ended the semester as though it were a new point of departure. Bookmaking workshop with Prof. Spani. 2 – Balance theory and praxis: Instructors clearly need to communicate important content, and lecture format is what many of us know best. However, interactive class meetings that get students on their feet or using their hands have clear merit and, quite frankly, can be particularly memorable. 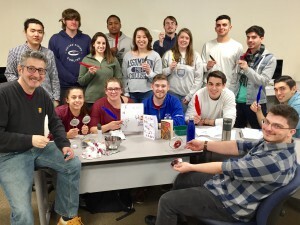 My students developed a much deeper appreciation for the Commedia during a bookmaking workshop led by colleague Prof. Giovanni Spani of the College of the Holy Cross. They found that making your own ink out of raspberries and writing even a few words with a properly-trimmed feather are extraordinarily time-consuming tasks. It was easier for them to see how difficult it must have been for a Benedictine monk to transcribe a medieval text, and when they reflected more deeply on the exercise, the genius of Dante and his text came into sharper focus. 3 – Think outside both the lines and the campus: The teaching load at Assumption College often makes it difficult for instructors to design novel class meetings or plan excursions, but there are some excellent resources available to those of us willing and able to take our shows on the road. Students of the Commedia seemed to enjoy the scavenger hunt that I prepared for a class meeting in the Worcester Art Museum (you can see the instructions for the hunt here: Dante Scavenger Hunt). Groups of three students had an hour to connect a series of textual clues to works of art located throughout the museum. Though challenging for some, the activity fostered a deeper understanding of the text and gave all students the opportunity to explore the museum in a truly interdisciplinary way. 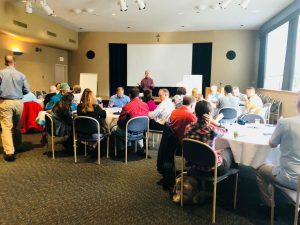 We ended class in the Chapter House, which had once been part of a Benedictine monastery; this was especially captivating because we had recently spoken in depth about the importance of monastic communities as centers of learning in the middle ages. Are you interested in carrying out the scavenger hunt at the Worcester Art Museum? Download the text here, bring your annotated copy of the Divine Comedy, and give yourself one hour. Buona fortuna! If not, consider finding ways of tapping into the richness of WAM as a teaching resource. 4 – Be an on-line arbiter: The allure of the internet for immediate answers to all our questions is undeniable, but the course instructor has the power to steer students toward the best digital resources. Nancy O’Sullivan in the D’Alzon Library did a wonderful job of helping me create an on-line study guide for the course; it was a valuable point of reference for students, one that helped me ensure that their on-line sources for the writing assignment would be among the most reliable and that they were familiarizing themselves in general with the authorities in the digital world of Dante Studies. You are camped out beneath an umbrella on your favorite beach during your annual summer vacation with family. Seated next to you is your favorite uncle, who works as an auto body repairman in your hometown. Despite never having attended college, he is hardworking, bright, and curious, and wants to know more about what you have studied this semester. How would you describe the Commedia to him? If the 18 students enrolled in the class are able to provide an evocative description of Dante’s journey through Inferno, Purgatorio, and Paradiso as it relates to their realities, then I will have more effectively put myself in their shoes (or flip-flops in this case), but this time with a greater sensitivity toward how the sand feels between their toes, not mine. And perhaps my Ugg Jordan approach will be ready for the mainstream. Carl traces his journey into this first cohort of the Bright Institute from his time in our Course Innovation Academy, and we are pleased to have played a small role in his journey to this new honor and opportunity. We look forward to continuing to learn from Carl about excellence in teaching, and to promoting his many achievements as a teacher and scholar. I’m arguing for a revolution. Last week a group of our faculty gathered over some dinner (and delicious pastries) for our Fall Faculty Learning Community. 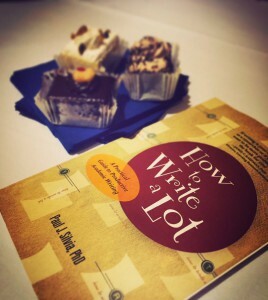 We discussed Paul Silvia’s slim tome How to Write a Lot: A Practical Guide to Academic Writing. Silvia’s recommendations all center around the idea that the only hack you need to get more writing in your life is to schedule regular times in your weekly schedule to do so, and to then ruthlessly defend those writing times. He proposes every objection you might have to this thesis and one by one knocks them all down. Do you feel the need to wait to “find” time to write, perhaps winter break or summer break or spring break, and then engage in what he calls binge writing, and then always ends those breaks lamenting about how little you got done? You don’t look for time to teach or do service or eat meals – writing is an instrumental part of your job as an academic, and you need to treat it like a necessity, not a luxury. You need to create and then defend time in your schedule to do it. 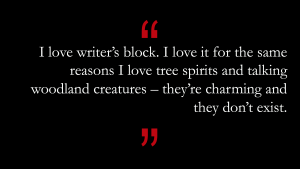 Do you tell yourself you need to wait until you feel inspired to write? Silvia presents data to illustrate that in contrast to intuition, people feel most inspired to write when they have regular times for writing in their schedule. Do you eternally feel like you need to read a few more articles or do a few more analyses before you can get started writing? No sweat, Silvia argues, just do these things during your writing blocks. Anything that progresses your writing counts. In the discussion of Silvia’s ideas and whether or not they fit with our particular teaching and service load, I shared with my table that Silvia’s ideas are all echoed by Stephen King in his wonderful book On Writing. I told my tablemates that since (re)reading Silvia’s book I had made the sign below for my office door. Reactions were mixed. Several faculty members wanted me to share the sign. Others seemed uneasy with the idea of a closed door. Others at my table seemed similarly uncomfortable with the idea of closing doors on colleagues and students. I pushed back. If we are hired to accomplish a balanced trifecta of teaching, scholarship, and service, how can we accomplish that if we don’t carve time out for scholarship? Moreover, doesn’t our scholarship directly enrich our teaching? And doesn’t being scholars in our field enhance the reputation of the college, thus also enhancing our service to the college? Last spring our Learning Community focused on Discussion in the College Classroom by Jay Howard. He is a sociologist who studies social norms in the classroom that govern how willing students are to participate in discussions. Social norms in academic settings have thus been on my mind. I realized that what I was pushing back against was a college-specific social norm that centered around endlessly prioritizing teaching and service over scholarship. Which of course is part of what makes our college extraordinary – the love and care all of our faculty bring to our students and to our college’s endeavors. This norm is also part of the special appeal of small liberal arts colleges in general — both for those of us who love teaching, and of course for parents and students looking for that particular flavor of higher-ed. I would never argue that this deeply held value should change. But what I would argue is for more moderation in our approach to the trifecta of demands upon us. I argue that prioritizing scholarship helps our students and our college as well as our own careers. That we are allowed to shut our doors to read and to think and to write. That we deserve that time to remember what first drew us to a life of the mind. In the larger group discussion, I shared these thoughts and wondered aloud whether we could change these norms surrounding the importance of writing and scholarship, to start a small intellectual revolution. Several faculty members seemed to warm to the idea of a collective change of our norms. One attendee suggested that we could advocate that the master schedules we all fill out include blocks for writing and scholarship as well as for teaching and office hours. Another mentioned keeping writing blocks in mind when requesting teaching times in the spring, intentionally setting class schedules so that the hours when his mind is the freshest for writing aren’t taken up by classes or office hours. 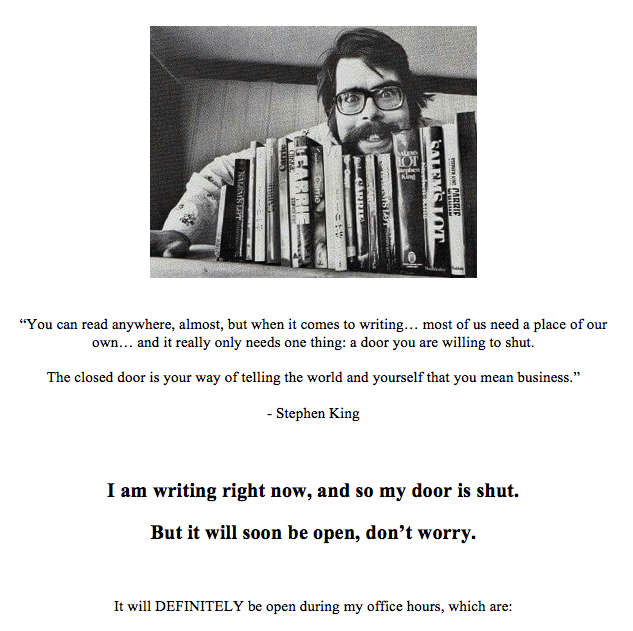 People who felt they would still feel uncomfortable with closed office doors discussed the possibility of writing from home or in coffee shops. Everyone seemed a bit energized and excited about encouraging each other’s scholarship. At the end of the discussion, most of the attendees met with smaller groups interested in leveraging the power of accountability, deadlines, and social support to encourage their writing efforts. 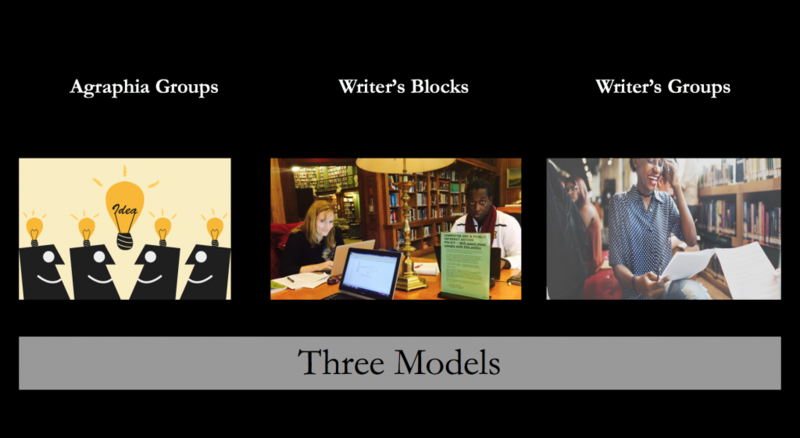 We facilitated organization of three types of writing groups: one in which groups meet biweekly to share deadlines and goals and progress, one in which groups join each other for side-by-side silent writing, and one in which groups share and provide feedback on actual drafts. Local folks, keep your eyes peeled for an email from us about the side-by-side silent writing – we’ll provide the schedule and the space in the CTE conference rooms, and you can drop in whenever you like to do some writing with colleagues. We’ll even shut the door for you. The 2017-2018 academic year has arrived, and we are off and running at the Assumption College D’Amour Center for Teaching Excellence. We want to remind you about some of the core resources and programming of the Center, but first we are especially pleased to announce the new places, people, and initiatives associated with the Center for the 2017-2018 academic year. First and most importantly, we have arrived in our new home in the Tsotsis Family Academic Center. You can find Sarah and Jim on the second floor, in the wing which also contains the Honors, Core Texts, and SOPHIA programs. You will find our always-growing library of books on teaching and learning in higher education in the alcove outside of our offices (TFAC 230 and 231), and we will be hosting our smaller events in the adjacent (and sparkling new) conference rooms (TFAC 227 and 237). Visitors to our new spaces always warmly welcomed. We are pleased to announce that Mark Lonergan has joined the Center for Teaching Excellence as our Instructional Designer. For the past year Mark has been working at Assumption to help provide ideas, support, and resources to faculty who are teaching online courses. 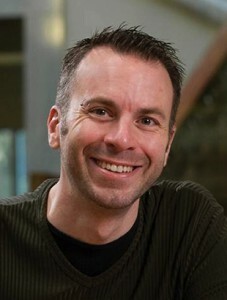 He will continue working in that capacity, as well as contributing more generally to the work of the Center, and helping us all consider ways in which emerging technologies can support the work of teaching and learning on campus. We are extraordinarily pleased to announce the creation of our Student Fellows Program, and present to you the four student members of our team. The Student Fellows will be working with us throughout the year on a number of initiatives, including assistance with our Davis grant, meeting and discussing the student experience with faculty in our New Faculty Orientations and Course Innovation Academy, planning one of our spring Food for Thought events, and writing a blog post for this web site. Look for those posts throughout the year under the heading of “Student Perspectives on Learning at Assumption.” And please congratulate these students if you know them or see them around campus! Tamra comes to Assumption from Quincy, MA, and is a senior biology major with a minor in psychology and a concentration in neuroscience. 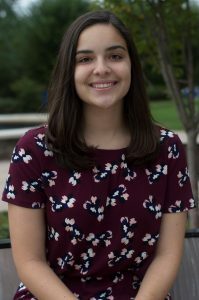 She serves as president of the senior class, head tutor in the Academic Support Center, and co-founder and vice-president of the Student Philanthropy Club. After graduation, Tamra plans to attend graduate school to become a physician’s assistant. Hailing from Walpole, Massachusetts, Kurt has double majors in history/secondary education with a minor in political science. 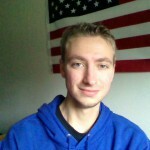 He loves American history and politics in particular and hopes to teach both subjects at either the high school level or higher ed. This past summer he held an internship at the Edward M. Kennedy Institute for the United States Senate in Boston, where he was able to teach school and tour groups about the importance of our government and civic engagement. When he’s not obsessing over history, he likes to play violin, read Stephen King, and fulfill his New England duty to drink Dunkin’ Donuts iced coffee everyday. Jess Ferronetti is a senior from Andover, MA, double majoring in Spanish and secondary education with a minor in psychology. On campus, she works at the Academic Support Center and the Assumption College Bookstore. 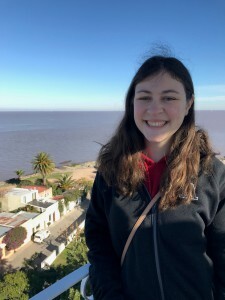 She is currently working on her Honors Thesis and is a member of the Spanish National Honor Society and Habitat for Humanity. When she’s not working on campus, she enjoys sitting out in the sun and reading. After graduating, she hopes to get a teaching position at a high school and obtain her masters degree in Spanish. 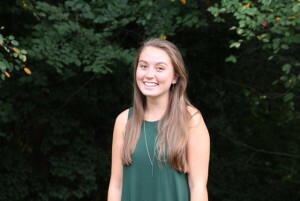 Carly Wheaton comes to Assumption from the town of Marshfield, Massachusetts. 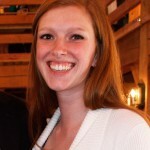 She is a senior majoring in elementary education and mathematics. Upon graduation, she will be licensed to teach grades 1-6 at the elementary level, as well as math in grades 6-8. On campus, she serves as head tutor at the Academic Support Center, with her instructional focus being mathematics. With teaching as her true passion, she looks forward to impacting the education of the future students at Assumption by fully investing herself in the opportunities that this fellowship will offer. The regular work of the Center continues, and so we finish this welcome post with some reminders about that work. Remember that you can always find an updated list of upcoming and recent CTE programming at our Events page. Please check back frequently for new additions. Food for Thought Conversations. 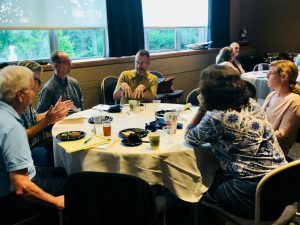 These informal events are held twice per semester, and provide an opportunity for faculty members to learn about and discuss common challenges in higher education pedagogy, as well as new or innovative teaching approaches. Suggestions for topics for the lunches come from the faculty at large or from the Center for Teaching Excellence Advisory Council. Faculty Learning Communities. Each semester the CTE selects a book or collection of readings related to teaching and learning in higher education. The Center purchases and distributes copies of the common reading to all interested faculty, and schedules a dinner discussion early in the semester. Suggestions for books for future Faculty Learning Communities are warmly welcomed. Innovations in Higher Education Lecture. Each spring the Center invites a nationally recognized scholar or practitioner of higher education pedagogy to deliver a lecture on campus about the current state and future of higher education. Depending upon the discipline and scheduling of the scholar, other events may be organized around this lecture, including smaller faculty workshops, visits to classes, or meetings with relevant committees or individuals. These lectures are free and open to the public. Individual faculty members, both full- and part-time, can request consultations with the Director, Associate Director, or Instructional Designer at any time throughout the year. The consultation process may include everything from informally discussing course ideas and teaching strategies to a full review of course materials and pedagogical practices. The CTE can also provide feedback to faculty members through classroom observations. All consultations and observations are entirely confidential, and do not play any role in the evaluation of faculty members for tenure or promotion. The Center can also provide consultation to committees, departments, or programs who are doing work related to teaching and learning on campus, including members of the staff and administration. 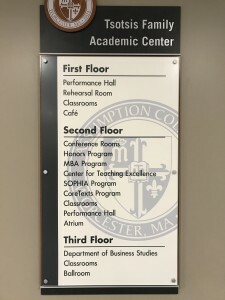 The Center provides new faculty at the College with a series of orientation sessions designed to help them successfully launch their careers at Assumption College. The new faculty orientations begin with two half-day sessions in late August, and continue with four meetings throughout the year devoted to a variety of topics relevant for new faculty. Each session gives the new faculty the opportunity to share their experiences and learn more about a specific topic, to build community with one another, and to meet senior faculty who help contribute to the conversation. The Center has an Advisory Council which consists of four Provost appointees and four members elected through the Faculty Senate. All appointees serve two-year terms. The Advisory Council meets once or twice per semester to review the work of the Center, to offer feedback and suggestions for future programming and initiatives, and to approve travel and other funding requests. Professional Development. Faculty can apply to the Center for funding to attend conferences or workshops on teaching and learning in their disciplines or within higher education more generally. The Director has a list of suggested conferences, but faculty can make requests for conferences they have identified on their own. The Center also provides funding for faculty who wish to enroll in courses in the Certificate in College Teaching Program through the Higher Education Consortium of Central Massachusetts. Information about the program and course listings can be found at http://www.heccma.org/cct/. Funding for Center-sponsored conference travel or professional development does not count as part of the normal faculty travel allowance. Awards for conference travel are made on a rolling basis throughout the year; funds are very limited. Research Funding. The Center has a small budget to offset research-associated costs for faculty members who are pursuing projects related to the scholarship of teaching and learning. This funding cannot be used for faculty stipends. Interested faculty should contact the Associate Director for more information. The Center for Teaching Excellence houses a small library of books on teaching and learning in higher education on the second floor of the Tsotsis Family Academic Building. These books are available for faculty to borrow and return at any time. We are also happy to purchase and loan out books that faculty identify as relevant to their teaching work. The CTE’s library contains multiple copies of several highly recommended resources: Ken Bain’s What the Best College Teachers Do; Susan Ambrose et al’s How Learning Works: Seven Research-Based Principles for Smart Teaching; Make it Stick: The Science of Successful Learning, by Roediger, McDaniel, and Brown; and Christopher Emdin’s For White Folks Who Teach in the Hood . . . And the Rest of Y’All Too. Although very different in style and scope, each of these books provides a solid foundation for understanding what we know about how students learn and how our course design and classroom practice can benefit from that research. Faculty can also stay current with the work of the Center by following us on Twitter at @AssumptionCTE. One of the Center’s long-term goals is to promote Assumption College as an institution which produces significant scholarship on teaching and learning in higher education. If you have an interest in experimenting with new teaching techniques and strategies, and would be willing to formally study their effectiveness and present your findings at conferences or in published form, the Center wants to help. We can assist you in finding grant money, in designing and conducting experiments on teaching and learning in your classes, in identifying suitable outlets for presentation and publication, and in connecting you to others who share your interests. Contact the Director or Associate Director at any time if you would like to discuss how you could contribute to the fast-growing field of the scholarship of teaching and learning in higher education.